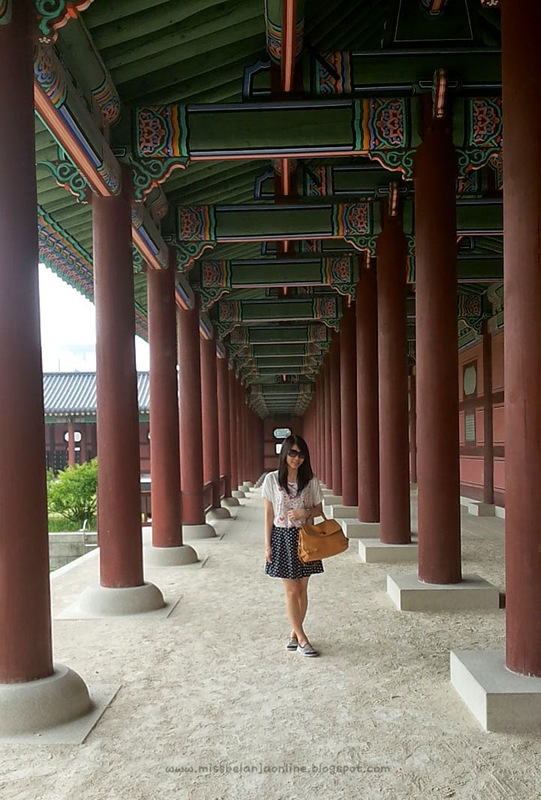 Annyeonghaseo~ Like I've promised before, I will talk about my vacation today~ As you maybe already knew, I went to Seoul, South Korea last month with 2 of my friends. 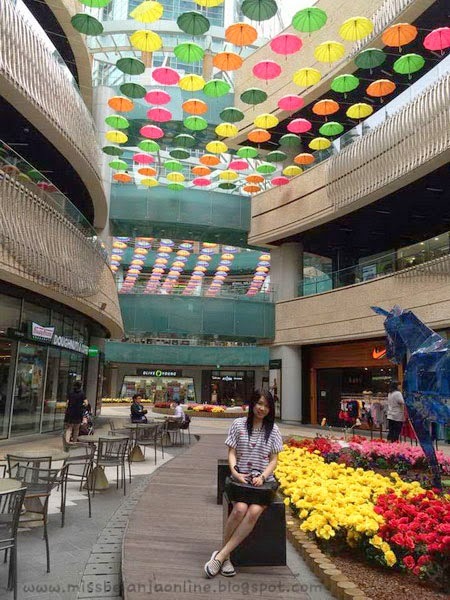 Actually we're quite afraid at first because the weather in Seoul is currently summer, but turns out the weather is very nice and not really hot (if I can compare the weather, Surabaya is moreeee hot and humid). PS: This will be a long story so I decide to make 2 posts for my entire trip and I'm also planning to write more posts about my haul and also some tips and trick for those who want to go to Seoul. Now let me begin the story~ we arrived in Seoul on June 24th (Tuesday), the weather is cloudy and the wind is quite strong. 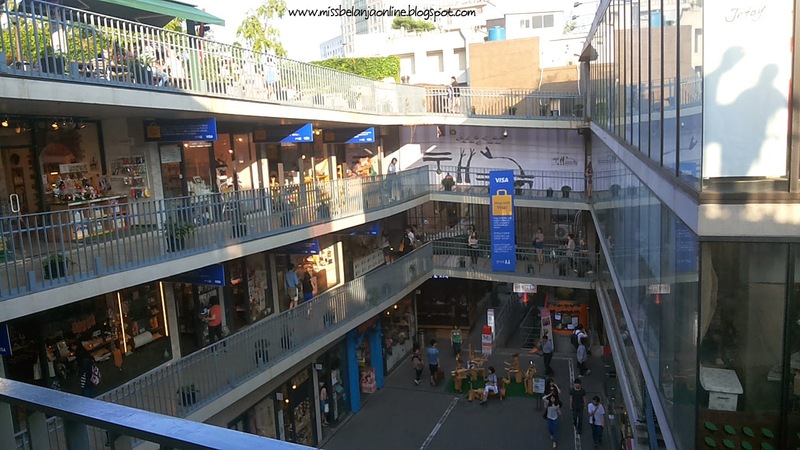 We took the airport bus to our hostel at shinchon/edae area. 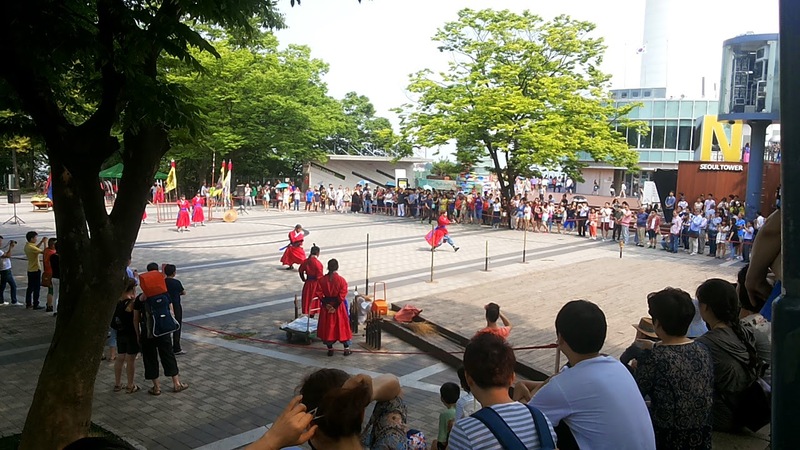 After drop our big luggage ( we bring 2 luggage for each person that means there are 6 luggage in total lol) at our hostel, we decided to go to Gwanghwamun Square. But, before that we managed to had our Lunch at Edae. 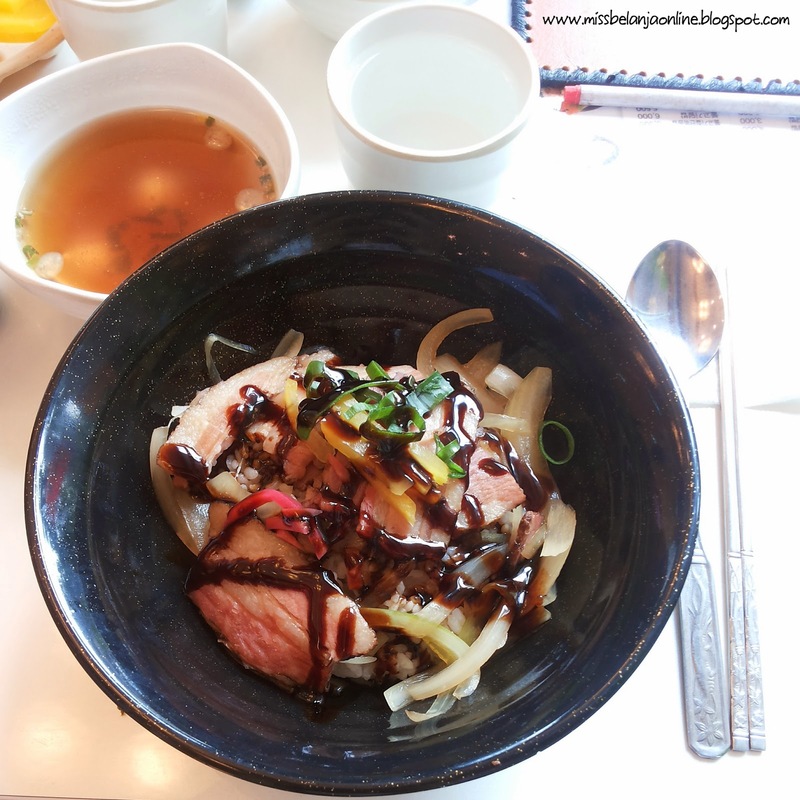 My first lunch~ Charsiu Dong. The meat is really really really tender and taste like heaven. After charged our battery with food, we continue our journey. 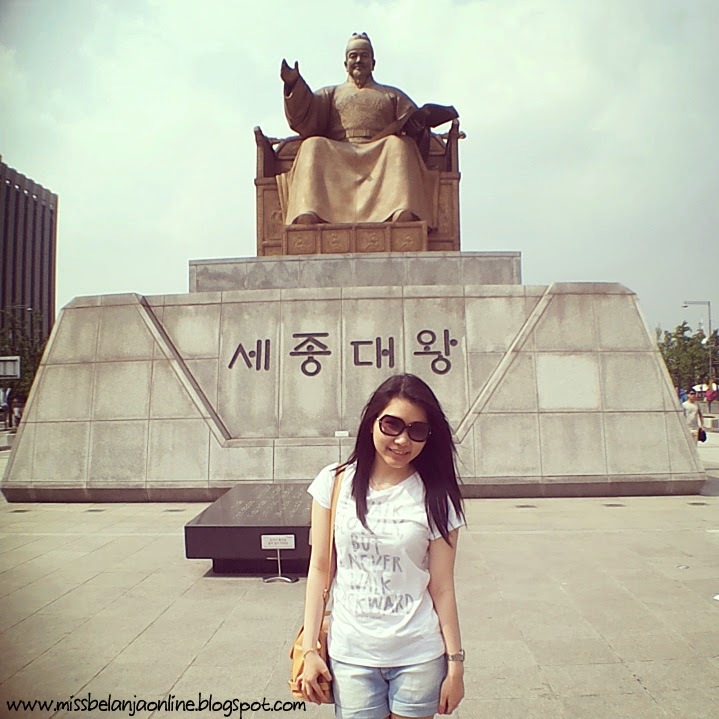 Gwanghwamun Square is famous among tourists because there are 2 big statues there, the first one is the Great King Sejong. He is the one who create Hangul (korean alphabets). 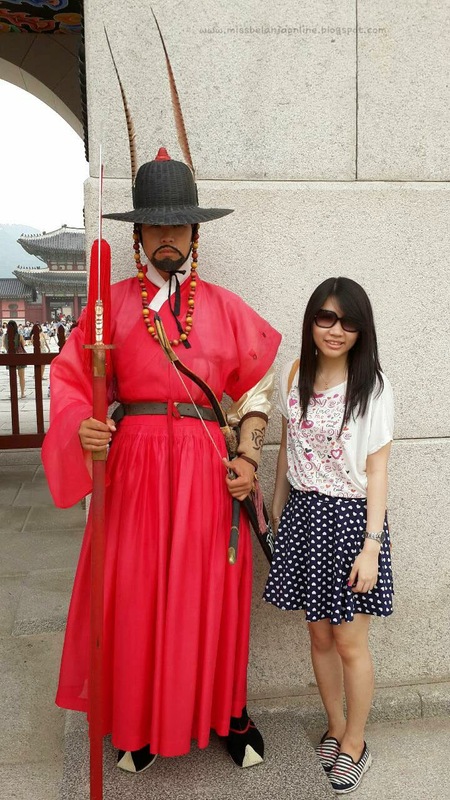 After took some pictures with the 2 famous figures, we continue to walk to Gyeongbokgung Palace. Too bad it is closed on Tuesday (lol, make sure to check something like this when we travel again). 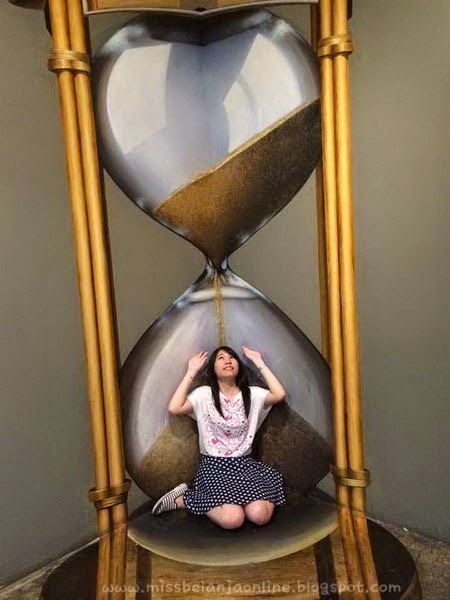 Then decide to move on to the National Museum of Korean Contemporary History. 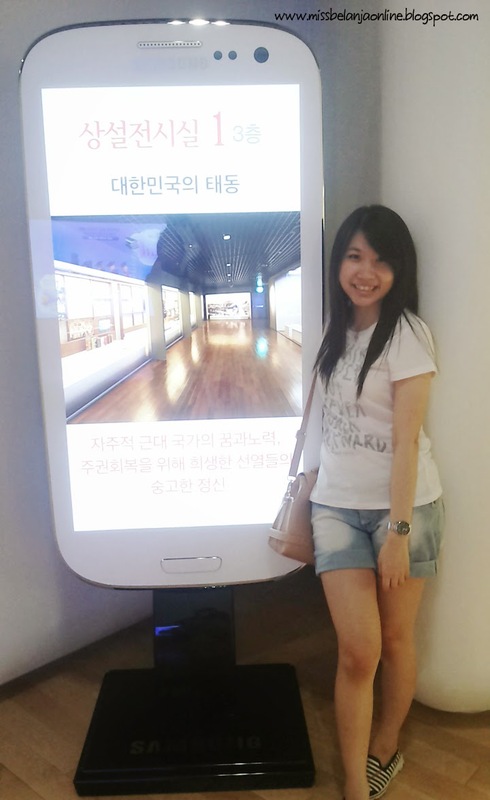 There are a lot of interesting things (like the giant samsung phone above hahaha) and pictures inside the museum. 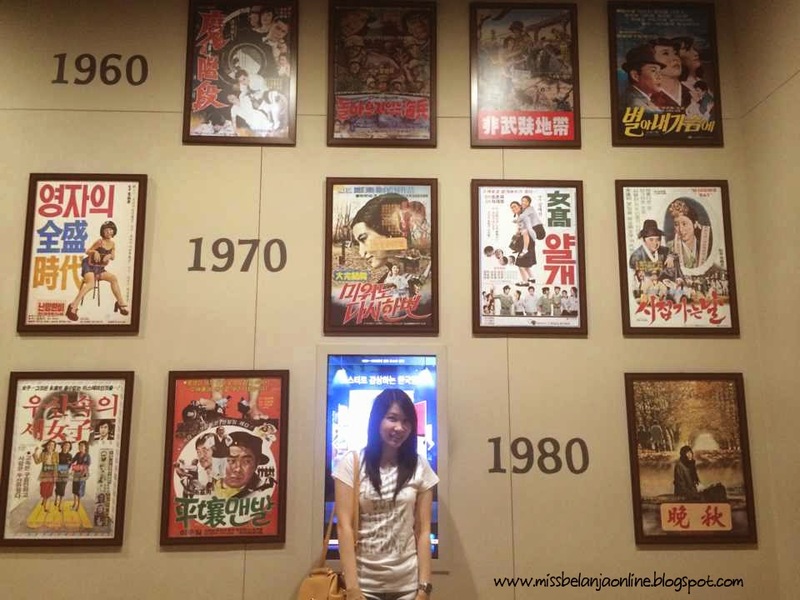 It tells us everything about the history of Korea and its journey until now. 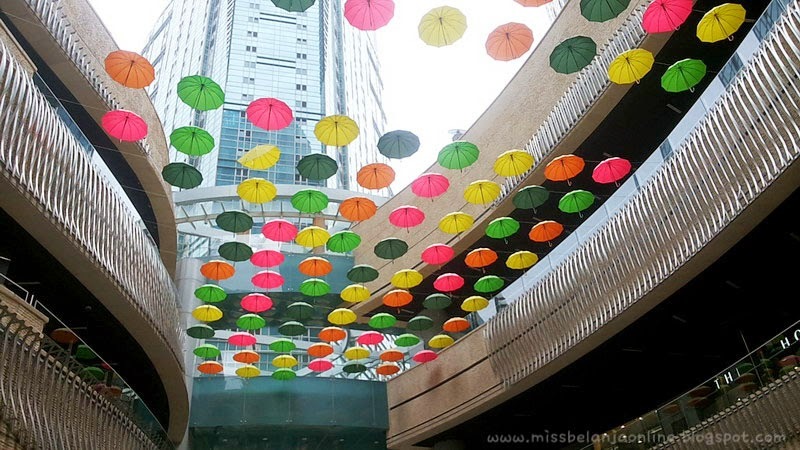 Ssamziegil, the famous spot in Insadong. 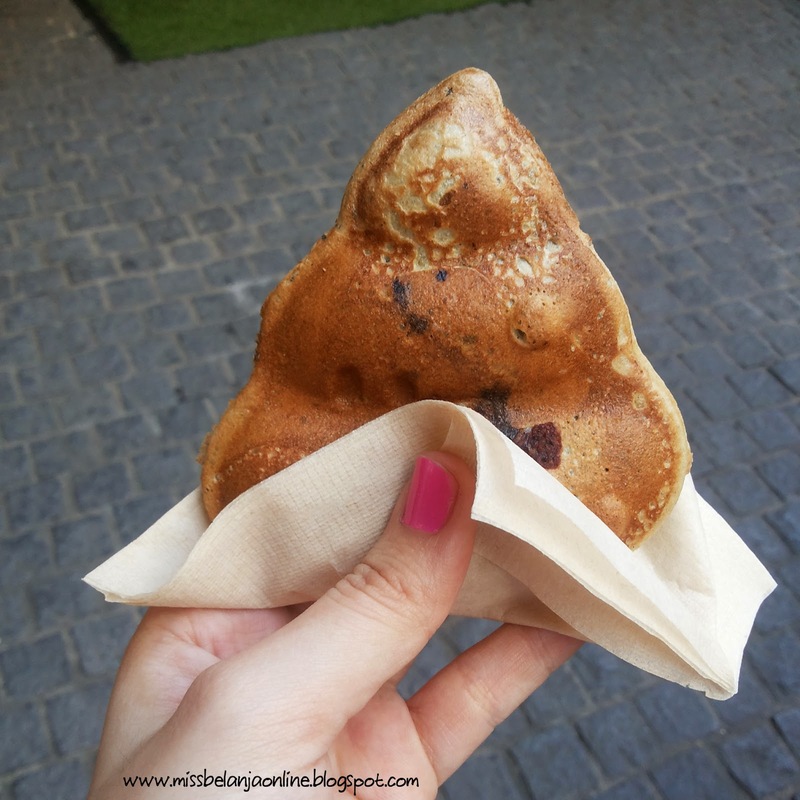 And here come my first snack in Seoul, The Poo Bread! lol pardon the name and the shape. But it is what they called it. Basicly it is a bread with red bean filling. Yummy~ but I'm not a big fan of red bean. Found this spot when explored the Ssamziegil. 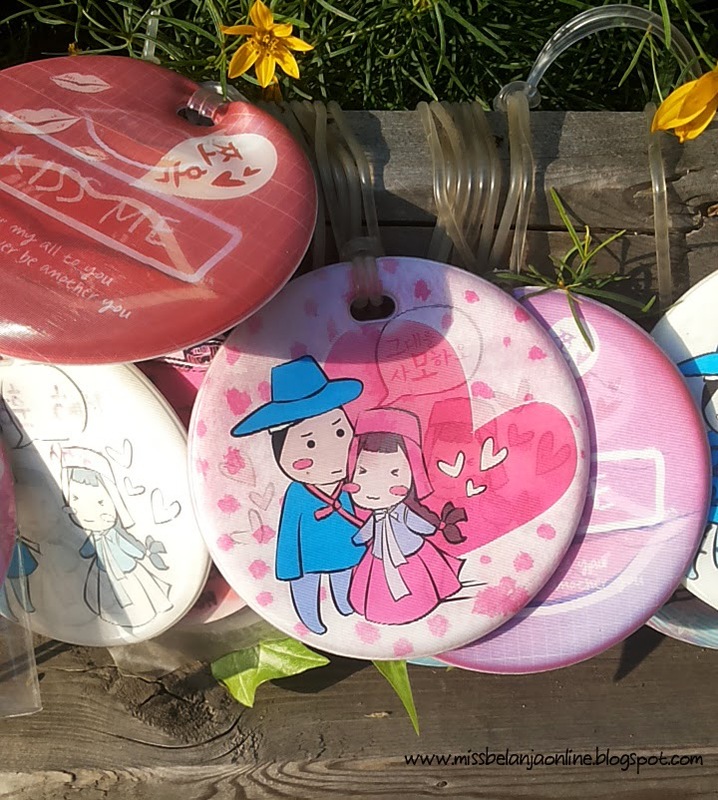 Korean always love to do something romantic like this. 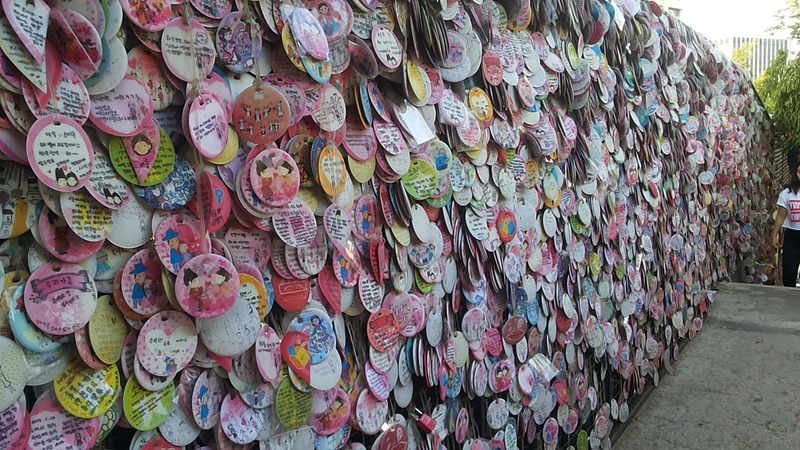 They wrote their message for their friend/GF/BF and hang it here. Very cute! 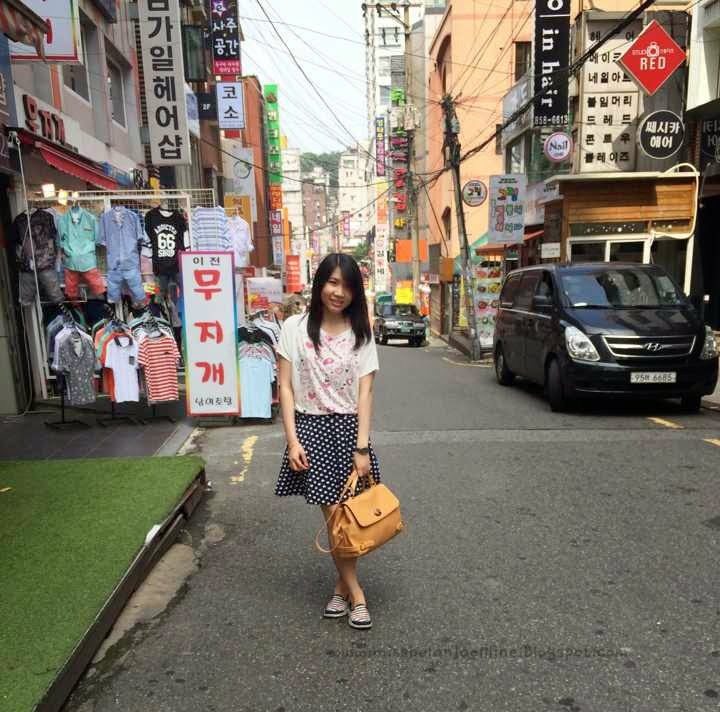 Started day 2 with an Outfit Of The Day in front of our hostel (OOTD is really famous these days on instagram, and of course I must join the crowd hehehehe). 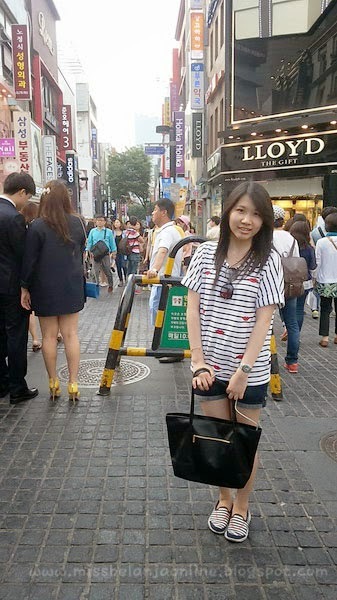 Spot many shops behind me? 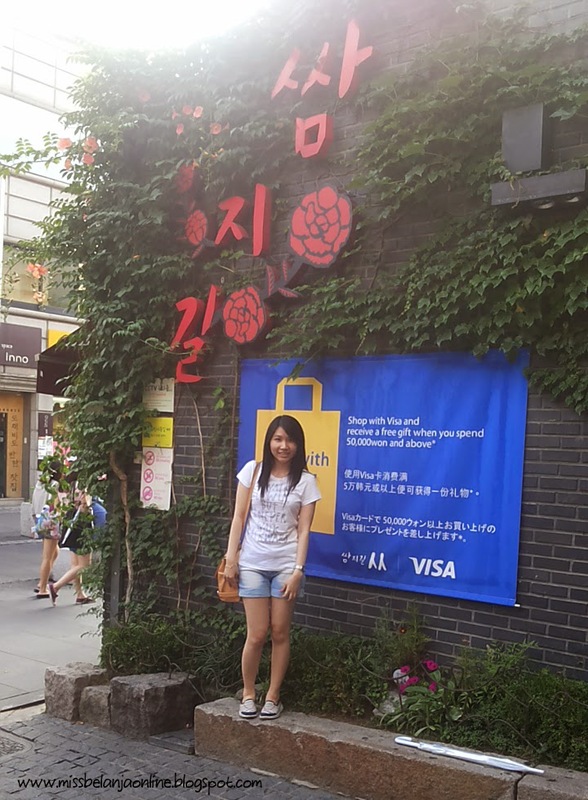 Well, that's because I stayed at the heart of Edae (one of the famous shopping street in Seoul) which is like Heaven on Earth! there still many shops that closed because it's still around 9 a.m (mostly shop here open at 11 a.m). 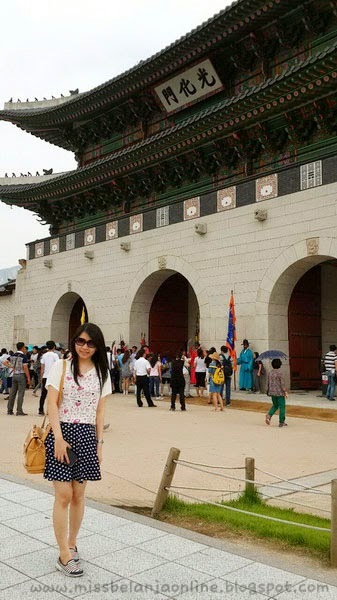 Our destination today is the Gyeongbokgung Palace, which we can't enter yesterday because it's closed. We arrived there after the ceremony so we can took picture with the guard! *yay~* I don't know how they manage their poker face like this all the time XD. Entered the palace and was amazed by the size. It is really huge! wow. 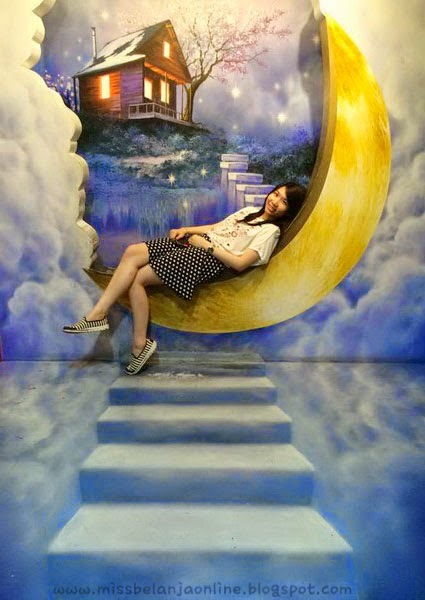 Took some pictures and of course another OOTD here hahahaha. 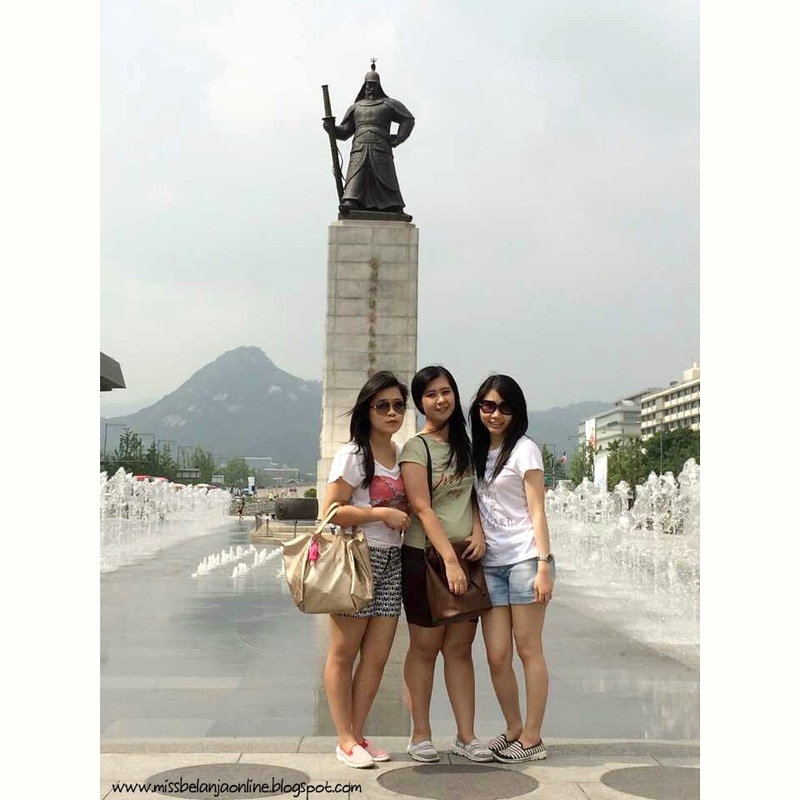 This become habits between us, when we saw some empty spot, we quickly snaps many pictures. After spent some hours here (and still can't found the exit and get lost inside the palace) we decided to move on to the next destination. 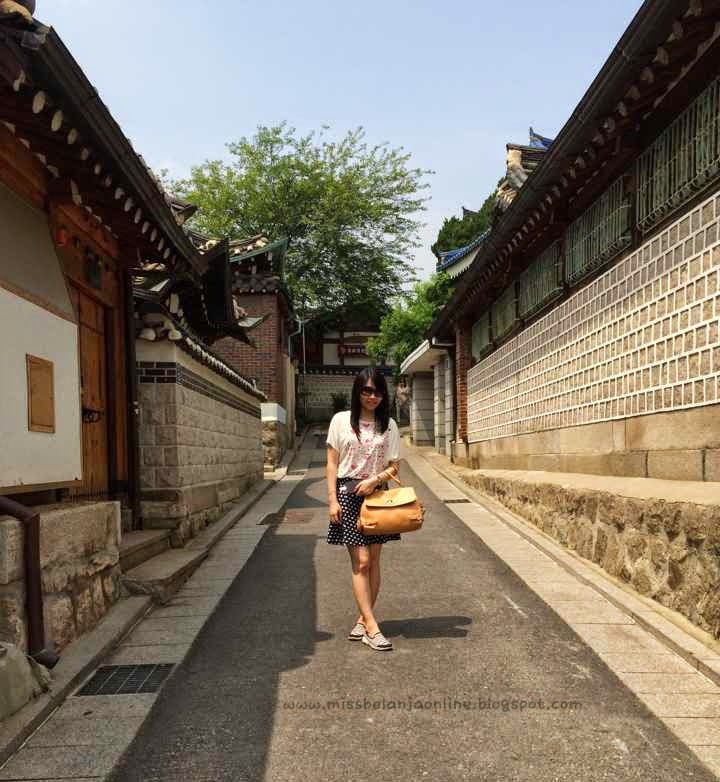 This time we visit Bukchon Hanok Village. 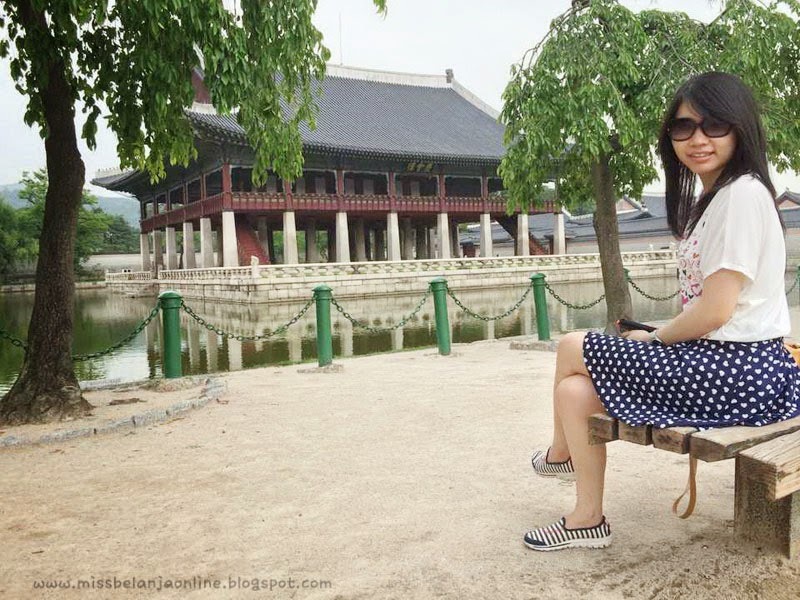 The Hanok house is a traditional house that Korean people used to lived at the past. 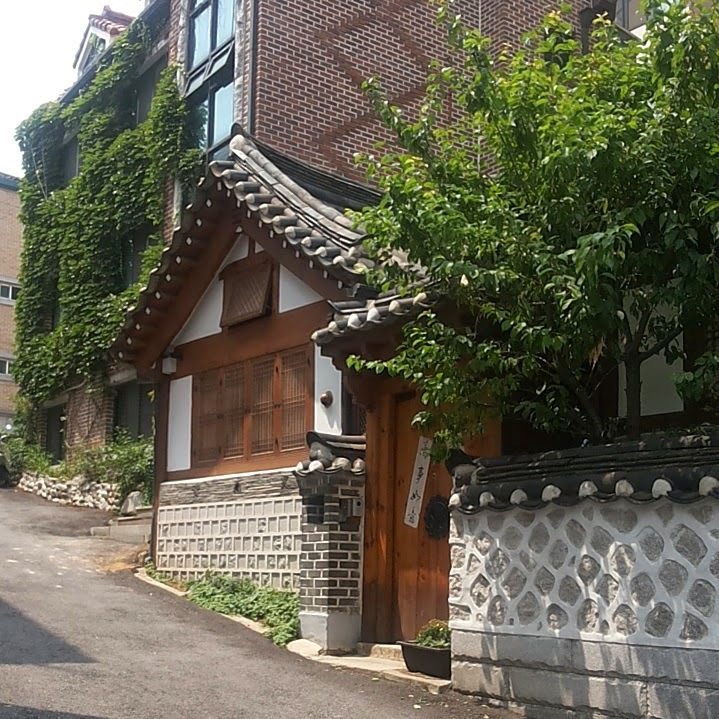 But they still have plenty of these house in the middle of Seoul and it become the tourists attraction (people also said, the price of the house here is very expensive because it contains many history). There are residents live in this house, so we must be carefull and lower our voice. Next stop is Hongdae! This district is full of young and talented people. There are many live performance here and mostly are singing and dancing. Here I managed to record some video to share~ I really like the song eventhough I don't know the tittle and the lyrics hahahaha. 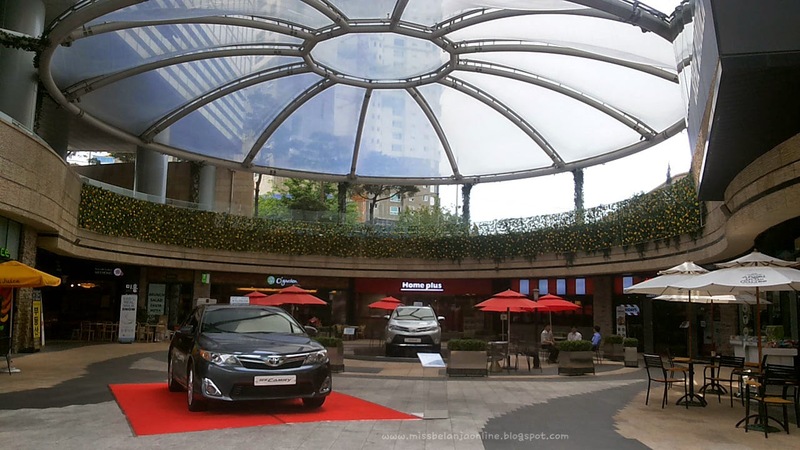 On Day 3, we decided to shop around Edae. 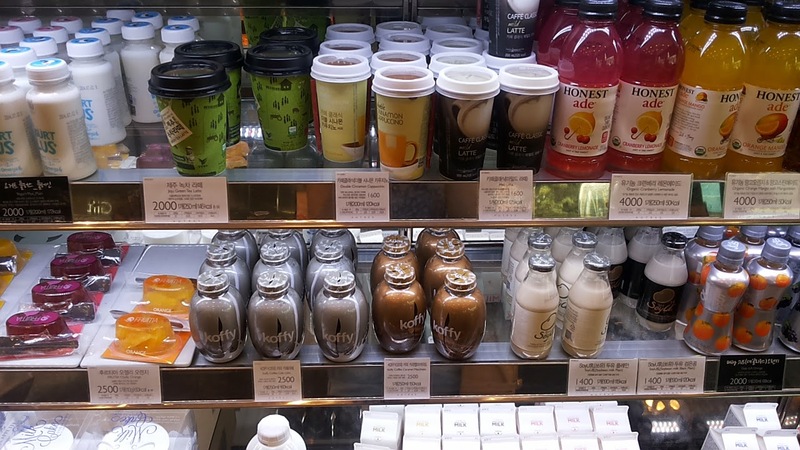 We got so many cosmetics request from our friends and we think it's too much if we shop at Myeongdong and carry many plastic bag, that's why we decided to shop the cosmetics near our hostel. 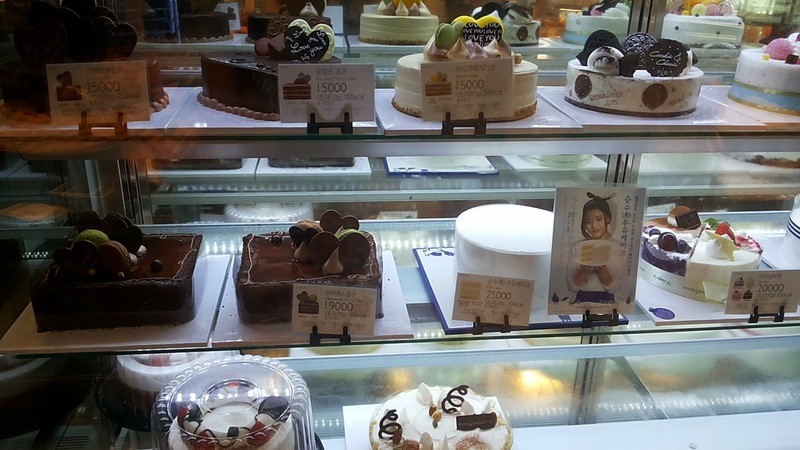 Before that, we had our breakfast at Paris Baguette (k-drama lover also will know this place, as this mentioned a lot in many K-drama). 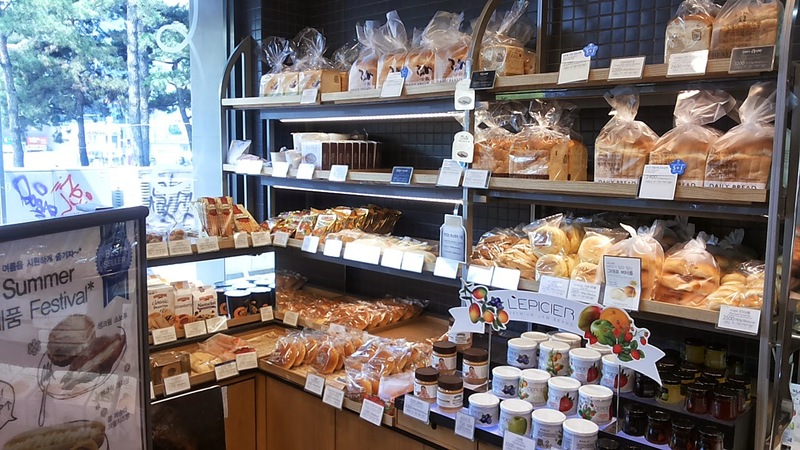 They sell breads, cakes, puddings, chocolate, and also some drinks. Spot Jun Ji Hyun? well, this lady is very famous now. You can see her face everywhere. From bread, coffe, sunglasses, water, snacks, etc. She and Kim Soo Hyun are dominate the market right now hahahaha (ah and also the handsome Kim Woo Bin~ saw him often too at TV). The taste of this pudding is to die for! Very delicious! The top is mango sauce, then the middle is soft pudding and the bottom layer is caramel. omg~ I want to eat this pudding again! (not to forget the bottle is so cute). 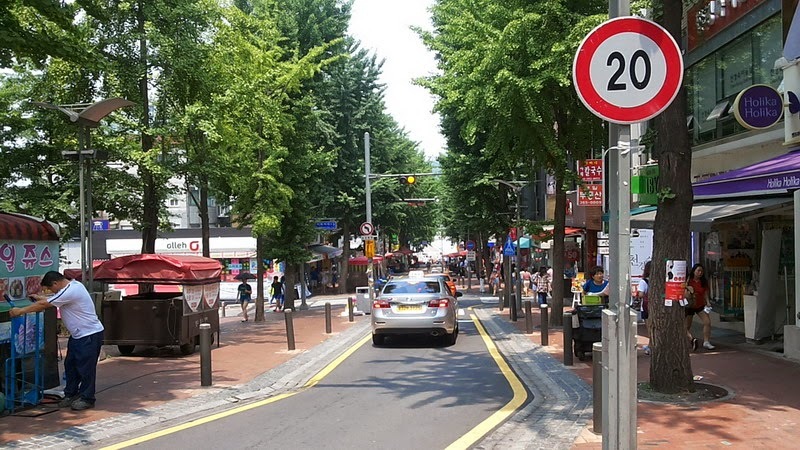 Now let me show you Ehwa Womens University or Edae (this is what they called it) street. So many beauty and clothes stores here. Also visit Artbox during our shopping parade at Edae. This is basicly a stationery store. But trust me, they have everything hahaha. 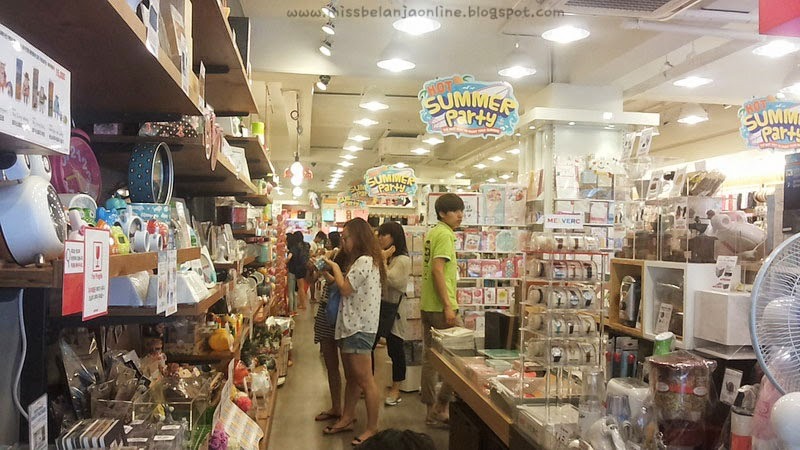 From Toys, cosmetics, nail polishes, accessories, face masks, clothes, plushies, box, card, and Stationery (of course). 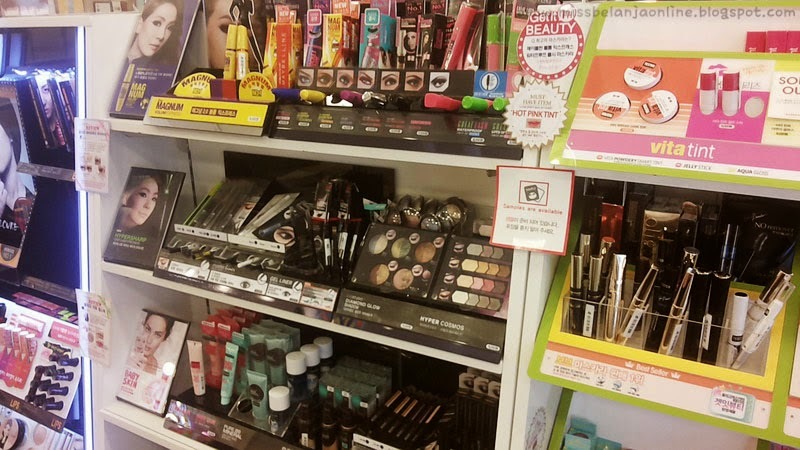 It's like mini heaven for girls because you can get everything inside here. Shopping make me hungry~ This is *again I don't know the name* chicken with red sauce and mayo. Tired of shopping, we went to Lotte Department Store to have dinner and here I met the famous Connie and Brown~ kyaa.. 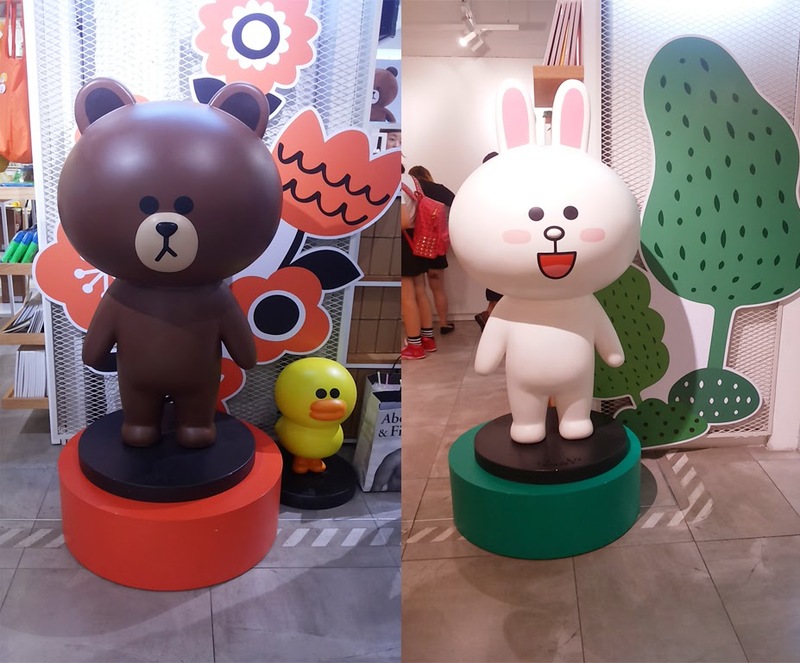 I love LINE characters so much esp these duo! This is Fish Cake Soup (my dinner for day 3) and it is so delicious! again, the portion is way too much for me hahaha. I guess korean people eat a lot. After that we went to 1st floor to visit the SM Town pop up store! yay~ not a big fan of SM (I'm team YG! lol) but I love this kind of store hehehehe. 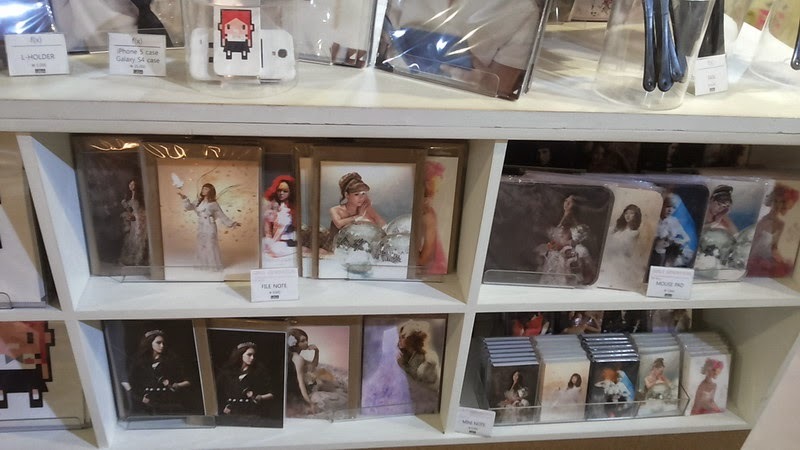 A store where you can see you're idol everywhereeeee.. 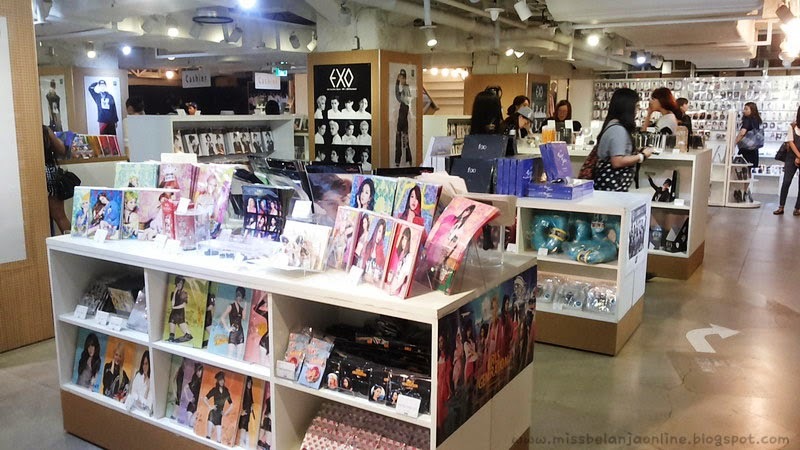 Girls Generation and EXO are dominated all the stores. 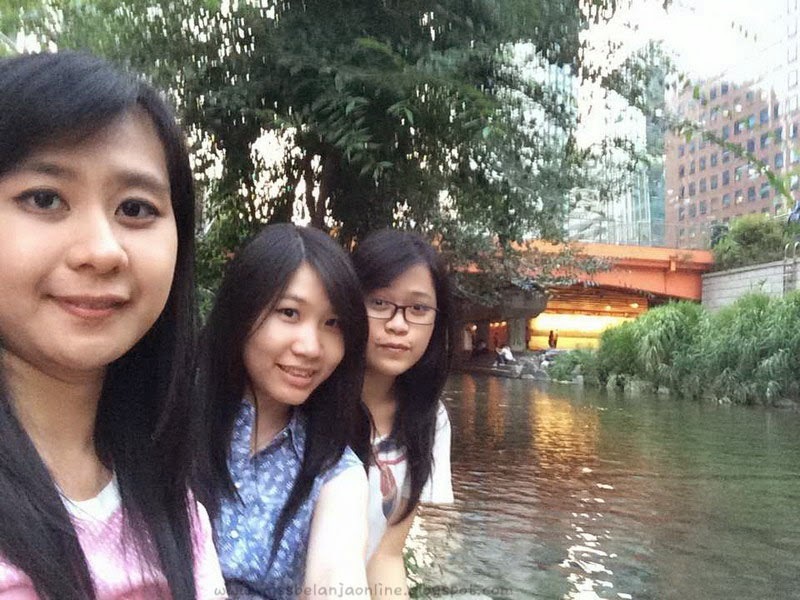 Then we walk outside the department to Cheonggyecheon Stream. 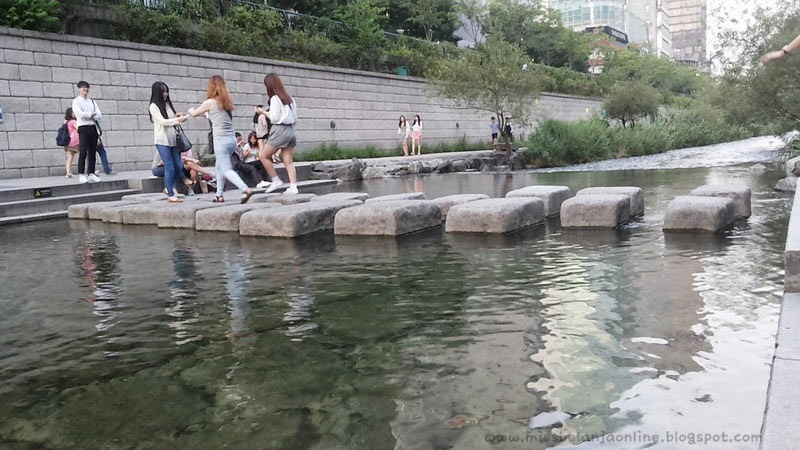 This stream lies in the center of Seoul, the water is very clean until we can see the bottom of the stream clearly. Chillin while soaking our feet inside the water. The water is soooo cold but it really nice to soak our feet after a long walk. 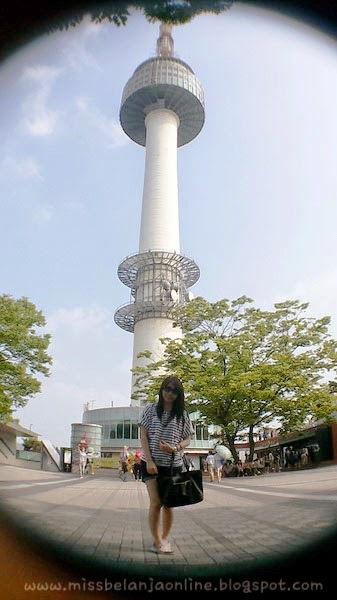 After that, we went to see the famous N Seoul Tower (previously known as Namsan Tower). To get to the tower we need to ride a cable car first. But before that we ride a glass elevator to reach the cable car station. The glass elevator isn't really popular (you can also reach the cable car station by bus), only few people know about this. So, it is quite empty when we used it. 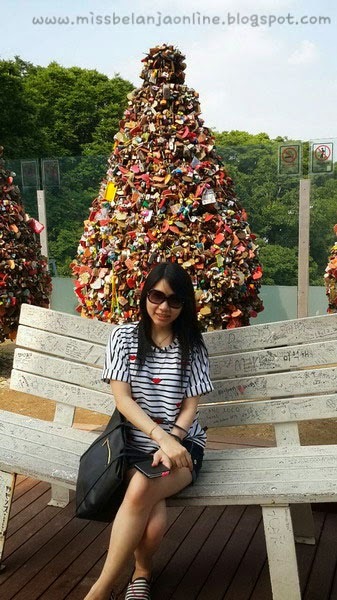 and here comes the famous spot at N Seoul Tower~ the gate of locks. 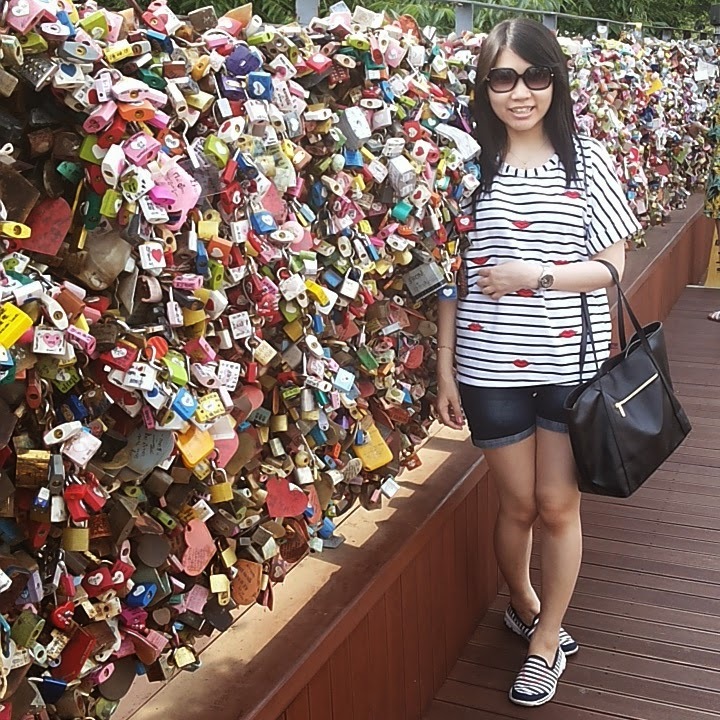 Like I've said, Korean peoples are very romantic, they will write some their name on the love locks and throw away the key so their love will stay forever~ how cute is that hehehe..
At Myeongdong, we took pictures with traditional costumes from Korea called Hanbok. This service is free for foreigners and all you have to do is wait for your turn. 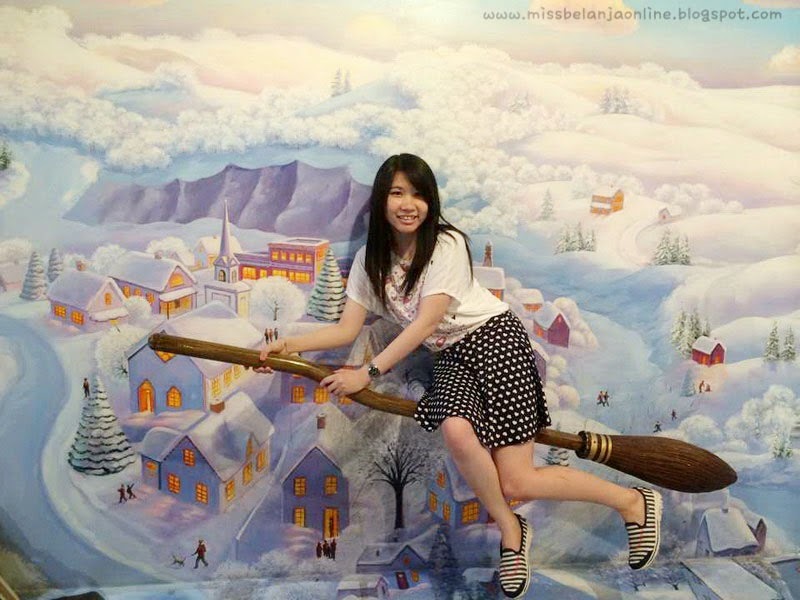 They also provided many backgrounds for the pictures. 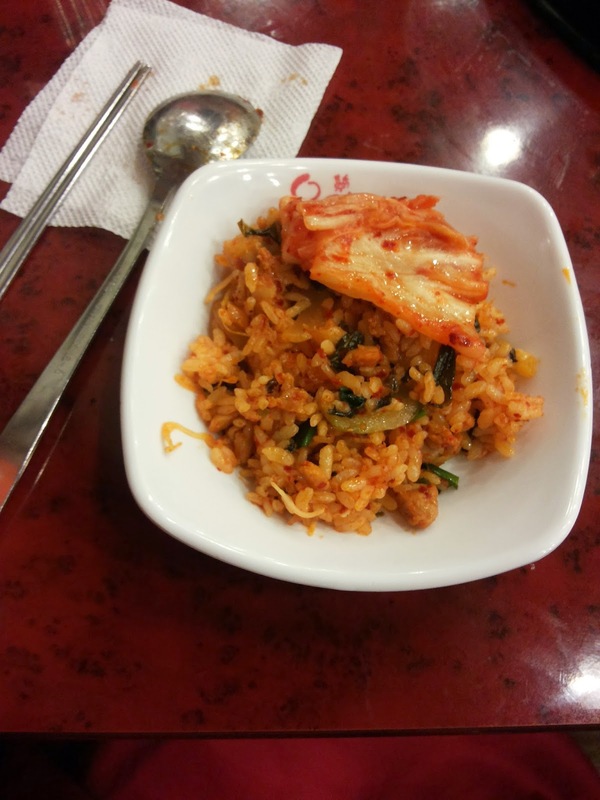 and here is our dinner at Myeongdong~ basicly it is fried rice lol..but of course with kimchi and another banchan. cee asik banget jalan2nya :3 itu kalian jalan2 sndiri ga pake tour ya? 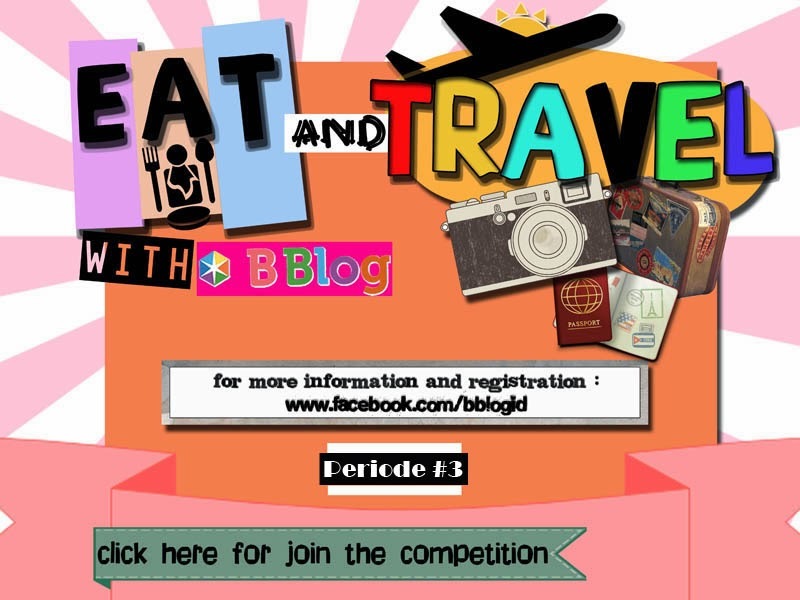 Itu gak pake tour guide kan ya? Kalo boleh tahu total budget yang dikeluarin berapa sis?